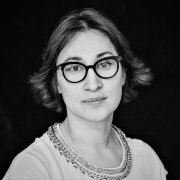 Elina Ribakova is a Visiting Fellow at Bruegel. Her expertise is in financial markets, emerging economies and central banking. She has an extensive career in finance at Citigroup, Amundi (a large European asset manager), Avantium (Emerging Markets dedicated hedge fund) and most recently as Managing Director of Research at Deutsche Bank. Prior to that, Elina worked for nine years in policy making at the International Monetary Fund in Washington DC where she was involved in several programme countries in Europe, Asia and Africa. Elina studied Economics at the Stockholm School of Economics and completed her graduate studies at the University of Warwick in 1999. In 2015-16 she was a visiting fellow at the Institute of Global Affairs of the London School of Economics. She has published extensively including in academic journals and is a frequent contributor to Bloomberg, Sky News, FT, WSJ, BBC and economic blogs such as Project Syndicate.